Next week's EuroQuest convention near Baltimore will be the first opportunity (as it comes a week before BGG.Con) for many in the States to sample some of the new Essen games. 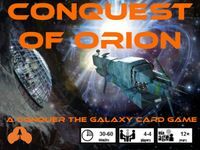 This year, there will be a dozen Essen games featured in a continuous series of demos scheduled to run all day Thursday and Friday. Saturday, the demo tables will be turned over to the game designers, and this year over a dozen game designers will be present, both for the second Annual Game Designers Forum (set for 12:30 PM Saturday) and also to demo their most recent creations. 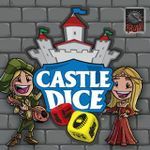 In the meantime, the Essen games will reside a special New Games Library where they can be checked out and sampled by convention attendees and finally, there's the Saturday night prize drawing, where 10 of the Essen games will be given away as prizes, along with several other hot new games and other prizes. Details on specific games and demo times follow on the attached list. This is all in addition to the regular tournament fare, which also has an expanded menu at EuroQuest this year. EuroQuest is an official event of the Games Club of Maryland ("GCOM"). This leads off the Essen games demo track. Current Geek of the Week Kurt Runco is slated to run the demo. Keep in mind, as this game is someone's personal copy, it will NOT be part of the prize drawing and may not be available in the New Games Library. This one I will be doing the honors, and it will be part of the New Games Library and part of the 9 PM Saturday prize drawing. This is the only Essen game that will have two demos, one on Thursday and one on Sunday, as we expect to have a second copy on hand -- right after the first is given away in the Saturday night prize drawing. Another Essen game for the prize table. While most of the demos will offer attendees an opportunity to play a full game, this will be a shorter, one-hour teaching demo. After the demo, anyone interested in playing a full game is invited to check the game out from the New Games Library. Also part of the 9 PM Prize Drawing. Our late night Essen demo for Thursday night, courtesy of Rik Van Horn. This one is still tentative, as Rik is waiting to receive his copy, and the game will not be part of the prize drawing. First of the half dozen demos on Friday morning. 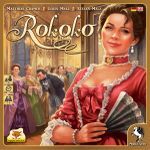 This game is already available in the States but (as it made the top 10 on the Fairplay poll), we are counting it among the Essen dozen at EQ this year. Will be on the prize table. Another new Essen game. This one will be in the Saturday night prize drawing. Essen game for the prize table. Another one for the prize table. 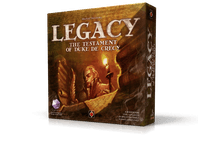 This wraps up the dozen games on the Essen games demo track, and it will also be a prize table game. This game, a recent Mayfair release, doubles as a "Designer's Den" demo as well as being the "Hot New Game" as part of the Wild Card tournament. 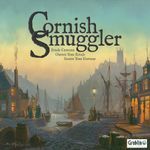 Game designer Bill Crenshaw will be on hand, and we expect to have two copies for the Games Library as well as prize table copies at EuroQuest. Note the demos are one-hour teaching demos, but players are then encouraged to pick up a scoresheet and play a game as part of the Wild Card event. Game designer Steve Cole will be running the demo of this game that was recently funded via KickStarter. Next on the Designer's Den list is a new card game prototype called "Les Cartes Miserables." This Werewolf variant, designed by Canton Games' Legend Dan Hoffman, will be on display twice in the demo area, once on Friday and again late on Saturday, after the prize drawing. Stop by the Canton Games booth during the convention and Legend Dan will be happy to sell you a copy. In addition to serving as moderator for Saturday's Game Designer's Forum (12:30 PM - 2 PM, Saturday Nov. 16), Luke Petterschmidt will be running a demo of his recently released game, successfully funded via KickStarter. The first of two prototype games being presented by Kiva Fecteau and Alf Shadowsong of Shadowsong Industries, this game is called Kuchukua. Kuchukua is described as "a deceptively simple resource acquisition game. Choose one of only three possible moves each turn as you vie for control of a global corporation by trading money, votes, and influence. Gain overwhelming control of any of these by outwitting the other contenders in your back room dealings, and in moments you’ve wrested away control of the company and become the new CEO." Since reading Kurt's review of this economic strategy game, I definitely was intrigued. Happy that Kurt was able to talk game designer Geof Gambill into attending EuroQuest this year, and Geof will be offering two demos. Game designer Josh Tempkin has a new prototype, Lesser Evil, which I tried at the Congress of Gamers convention in September and highly recommend. Note that there are two scheduled demo times. 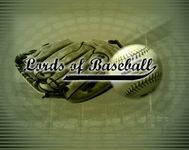 This is a unique design, a father-and-son collaborative effort that puts the player in the role of a big league baseball Manager. The game has gone through several iterations in prototype form, and I can't wait to see it in print. 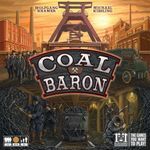 Check out Max's excellent videos posted here on BGG -- they will give you a good idea what the game is like. Nat Levan will be making his first appearance at EuroQuest with his new prototype game, New Bedford. I first saw a prototype of this game a few years back when it won a Game Design Competition as part of the Games Club of Maryland's Game Days event. It has recently been self-published via KickStarter. Game designer Andrew Parks will be on hand to demo the game on Saturday. Andrew will also be on hand to sign copies of the game -- we are working hard to get some of the first copies to our vendor -- but it may be tight, as the official release date is today, November 6. 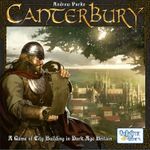 In addition, there will be a regular demo of Canterbury on Thursday, courtesy of GCOM Founder Keith Levy. We also hope to have a copy of Canterbury for the Saturday night prize drawing. This is one new game I am really looking forward to. It was successfully funded on KickStarter in less than three days, and it's currently up to its third (or maybe fourth, hard to keep count) stretch goal. Game designer Ben Rosset will be on hand. Award-winning Game Designer Volko Ruhnke's COIN series of games has opened up a new genre in terms of card-driven, multi-player wargames with political and economic as well as military dimensions. Volko was at EQ 2011 to demo Andean Abyss, which went on to win a Charles Roberts Award, and this year he returns to EuroQuest to present three sequels, two of which (Cuba Libre and A Distant Plain) were just released by GMT Games this summer.